3 HOA Maintenance Benefits That Home Buyers Look For - Metro Lawn Care, Inc. If your neighborhood is a new development, the grass is going to look patchy. The squares of sod will be highly visible, and it will take time for the greenery to gain uniformity. But if your HOA is in an established neighborhood, new residents will expect the grass to be seamlessly green. Patchy areas of brown imply poor maintenance or irrigation problems. New sod can also imply recent repairs or previously dead grass. 2. Shaped hedges and corner landscaping. If your neighborhood has hedges lining the fences alongside major roads, it’s important to keep those hedges maintained. 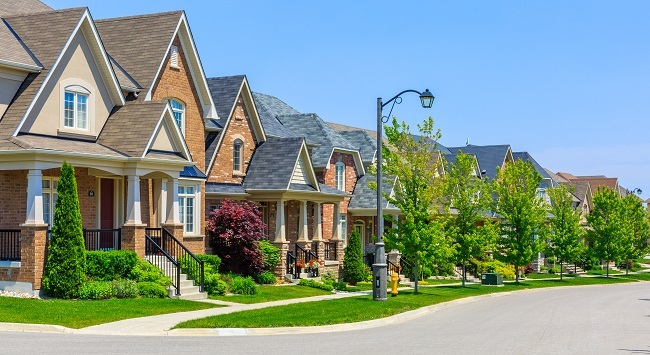 Sharp planes and crisp edges imply a lot about the neighborhood and its HOA, and it helps form a great first impression if your neighborhood has a lot of homes for sale. It’s just as important to keep the landscaping near the main entrance to the neighborhood in good condition. Not only do the hedges need to stay trimmed back so people can see the signs, but that bit of landscaping is also the most likely to be photographed for a city or real estate website. Unless your common areas have only evergreen plants, hire a professional landscaping team to plant seasonal flowers and change the plants’ watering schedules. New residents will be able to tell if the plants are out of season or look bedraggled. Many residents who care about the appearance of their neighborhood will also prefer seasonal displays to evergreens, so judge accordingly. If you want your neighborhood HOA to always give a great first impression, hire the right landscaping team. Go to Metro Lawn Care to get started. Metro Lawn Care, Inc. is a full service commercial landscape company servicing Dallas for over 40 years. We provide commercial landscape maintenance, landscape construction, and irrigation installation and repairs. With our company’s years of experience in the commercial landscape industry, we are able to help you achieve and maintain the appearance you desire. Could Your Business Use A Pergola? Responsive and dependable, Metro took care of my 120,000 sf distribution center's landscape, flowers and sprinkler system for years. Their great crew and equipment gave us the WOW curb appeal we loved year after year. Highest recommendations!